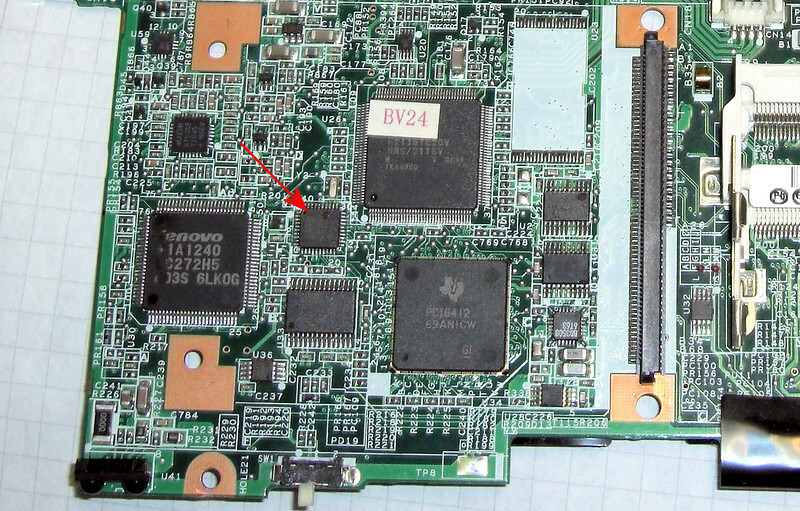 The IC you need to connect to is an ATMEL 8356908 which is on the top side of the System Board, the red arrow in the photo below points to the ATMEL 8356908. 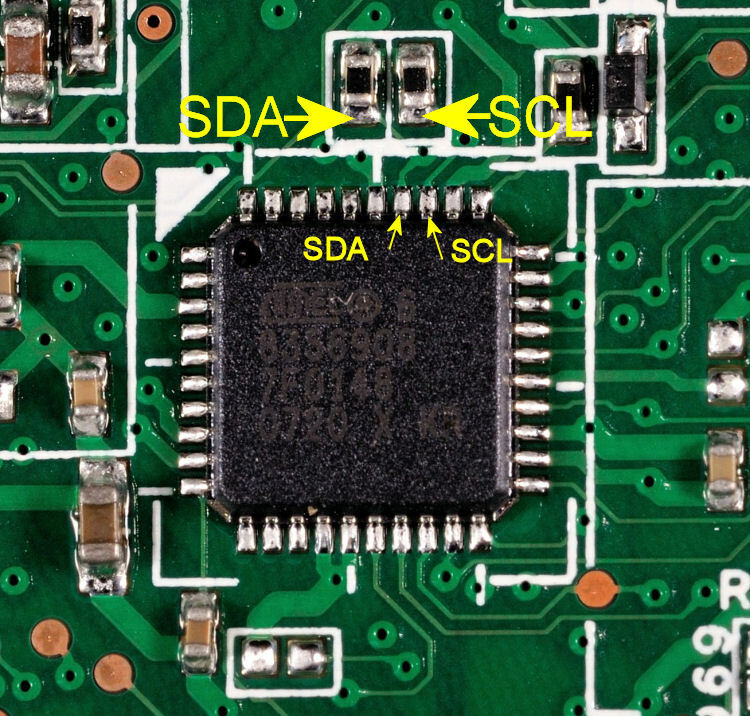 THIS IS A DIFFERENT SYSTEM BOARD ILLUSTRATING THE connection points to the ATMEL 8356908. 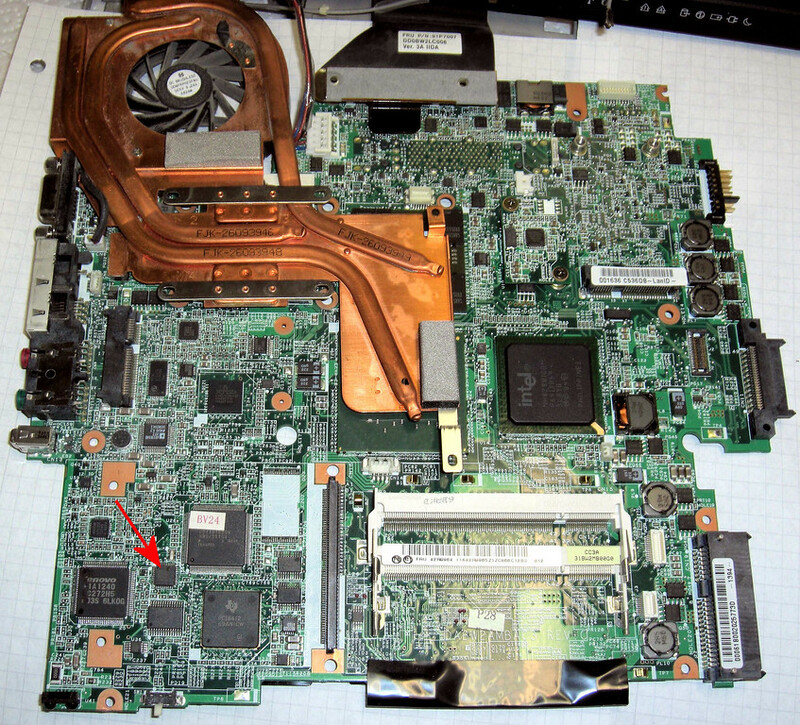 The Z61m uses the same IC but the actual board layout is DIFFERENT. The Z51 does NOT have the 2 additional connection points above the ATMEL 8356908.